Playa Alíseos runs between kilometres 4.2 and 5 of La Manga del Mar Menor, in a heavily built area with construction on both sides, and although the sand is relatively coarse is popular among visitors and residents throughout the year. Services and facilities include toilets, footwashes, telephones, drinking water, a children's play area, beach grooming service, bins, wooden walkways, lounger and sunshade hire and chiringuito beach bars. There also are plenty of bars, shops and restaurants nearby, and sporting equipment hire is available. Access: there is a bus service which runs right along the length of La Manga del Mar Menor throughout the day, and several stops give access to Playa Alíseos. Parking is available in the urban areas which back onto the beach, but as this area is high density, parking can be more difficult than for other beaches in La Manga. San Javier has two distinct sections of beaches, one being in Santiago de la Ribera on the shore of the Mar Menor, close to the main centre of San Javier town, and the other on the opposite side of the Mar Menor on the spit of land called La Manga de Mar Menor (or "the strip", as it is often referred to by holidaymakers), where there are both Mar Menor and Mediterranean beaches. Mar Menor beaches are enclosed within Europe's largest saltwater lagoon, which is fed by the Mediterranean. The Mar Menor is totally unique, its geographical peculiarities creating some of the best conditions in Spain for those learning watersports, particularly windsurfing and sailing. Murcia is the warmest mainland region in Spain, and has an average temperature of 18 degrees, which makes it perfect for year-round watersports activity, and bathers can enjoy the waters of the Mar Menor for most of the year. The water is not tidal and has only very insiginficant currents and waves, so it's perfect for family bathing or watersport beginners. It has shallow fringes which slope gently, and is only 7 metres deep in the centre, so the water temperature is warmer than that of the Mediterranean, particularly around the edges where it is possible to wade out 50 metres from the shore and still only be waist deep. The Mar Menor beaches are all around the lagoon, which covers a surface area of nearly 170 square kilometres, with 70 kilometres of internal coastline, separated from the Mediterranean by the 22 kilometres of La Manga. Channels known as "golas" cut across La Manga, enabling water to flow bewteen the two seas as well as making it possible for boats to sail between the two. 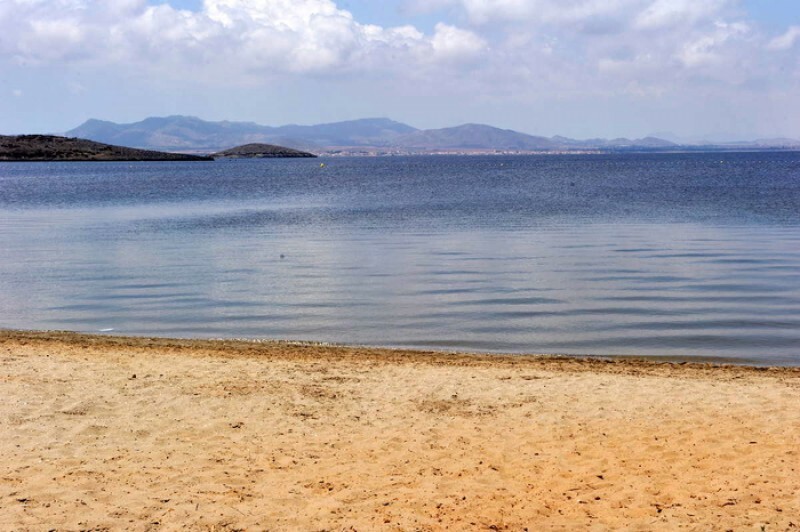 It is important when choosing a beach to understand that the Mar Menor beaches offer shallow and calm bathing conditions, whereas the Mediterranean beaches are wider, longer, windier, and are susceptible to wave conditions and currents. The internal area of the Mar Menor is divided among several municipalities, or local councils. 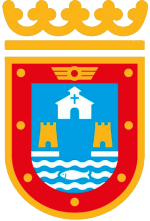 The La Manga strip is divided into two sections for administrative purposes, although there is no geographical difference, the far end belonging to San Javier and the lower section linking to Cabo de Palos belongs to Cartagena. The La Manga Strip offers beaches on both the Mar Menor side and the Mediterranean coast, both presenting totally different bathing conditions and types of beaches. Almost the entire length of La Manga del Mar Menor is lined with holiday apartments, hotels and summer properties, although it does also have a significant year-round residential population. There are beaches the entire length of La Manga, with the Mediterranean on one side and the Mar Menor on the other. For this reason the density of occupation is a lot lower than might be expected due to the sheer metreage of sand, although the beaches nearest to the Cabo de Palos end of La Manga tend to have higher occupancy as the land is wider, there is a higher concentration of apartments and they are nearer to the "mainland" road access. Towards the northern end, in San Javier, the land narrows, and the concentration of properties is lower, so the beaches are emptier. The Mar Menor beaches have good facilities, good sand and safe bathing conditions, and those who prefer wider, more open beaches, with rolling waves, simply have to cross the road to the Mediterranean side, or take a short bus ride further along the Gran Via, which runs the entire length of the strip, to another beach. The location of La Manga del Mar Menor beaches is generally defined by kilometre reference. Kilometre 0 is the tourist information point at Cabo de Palos and km 18 is the far end of La Manga by the Esculls de la Llana y Encañizadas, which is where dry land runs out! The northernmost end of the strip is marshy and largely inaccessible, before it finally just fails to join up with the salt flats of San Pedro del Pinatar. 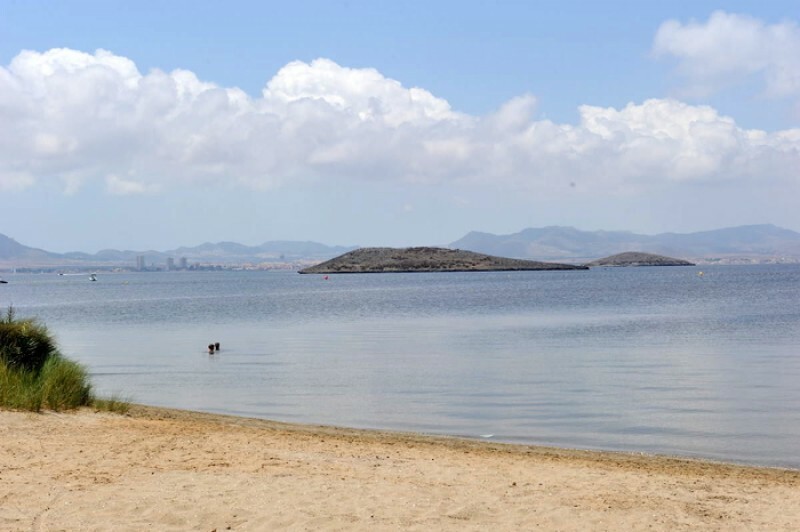 - most of the Mar Menor beaches have very gently sloping shelves, meaning that bathers can walk a considerable distance from the shore and still only be waist high in the water. These shore fringes are also very warm, heating up more than the deeper waters, or the Mediterranean coastline, particularly during the hot summer months. - many beaches are also protected by netting to exclude jellyfish. This creates safe bathing areas for families but also leads to a situation which can be life threatening, as the safety of the beaches results in many elderly bathers bathing alone. This in itself is not life threatening, but every year there are unnecessary deaths when bathers suffer a heart attack, stroke, faint or have a dizzy spell of some sort whilst bathing alone, slipping into the water without anybody else being aware that this has happened. The transition from hot beach to cold water can shock the body, causing dizziness or fainting, so it is advisable to splash the body with water to cool down before wading out into the Mar Menor or Mediterranean. Even though there are lifeguards at many Mar Menor beaches, accidents happen and every year there are unnecessary fatalities, the simple rule being if you have a medical condition, are taking medication, or are of advanced age, don´t bathe alone no matter how shallow and calm the water is. And for all ages, a red flag means do not bathe, particularly on the Mediterranean beaches. 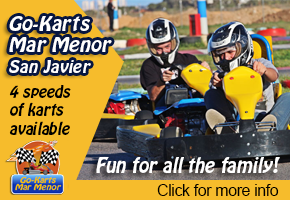 Click to see an overview of the beaches in San Javier, or to go to the home page of San Javier Today for more local news, events and other information.